The Boston Bruins-MeiGray Group Game-Worn Jersey Authentication Program is proud to offer fans and collectors across the globe the opportunity to own a piece of history...a helmet worn by #74 Jake Debrusk of the Boston Bruins during the 2017-18 NHL season. 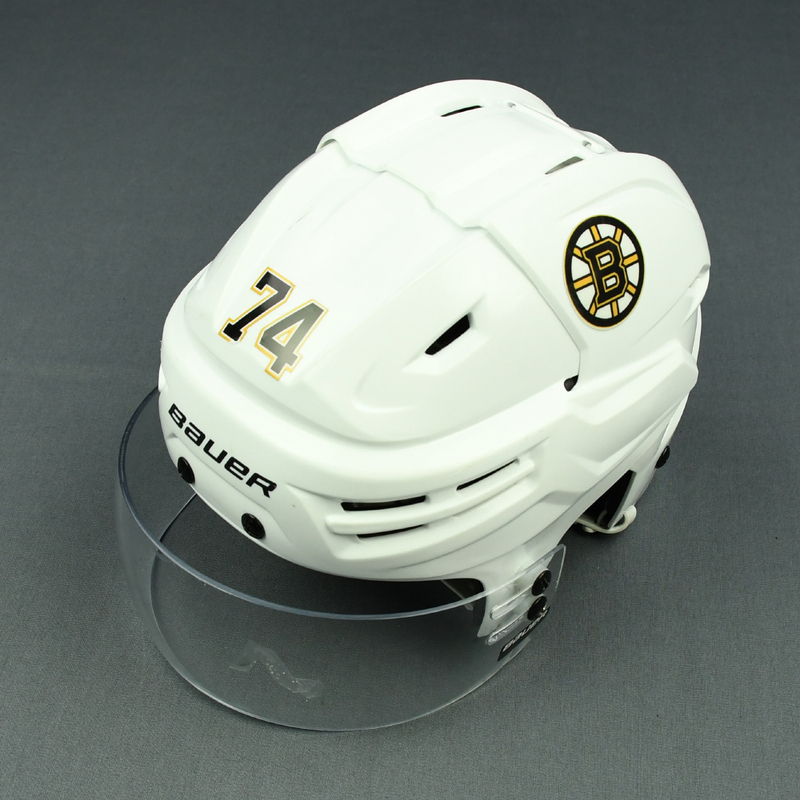 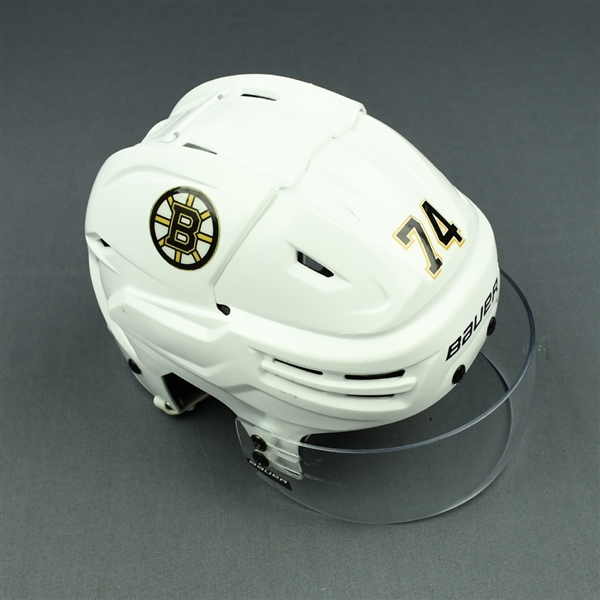 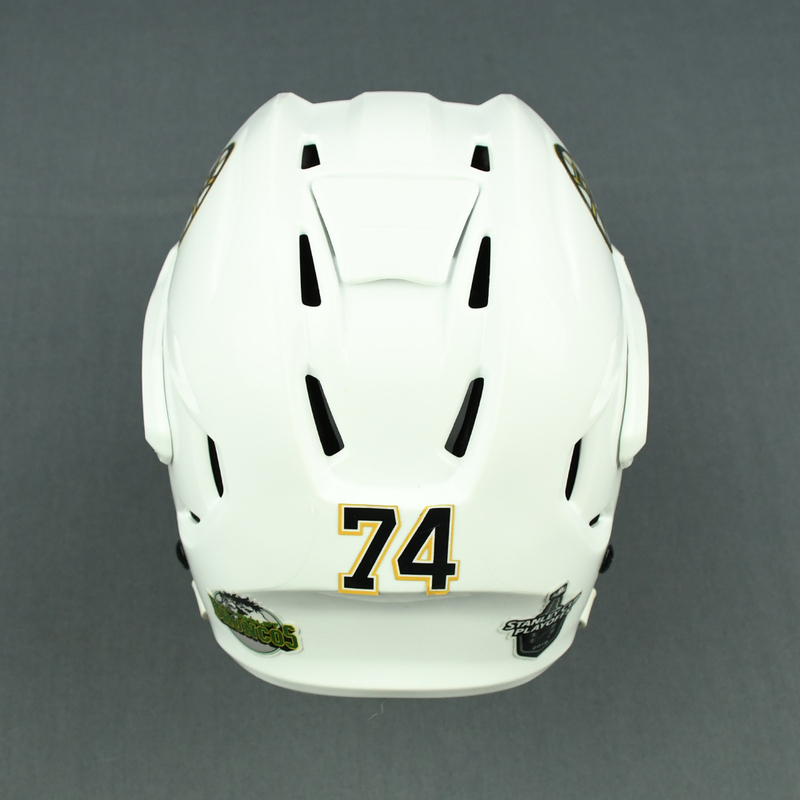 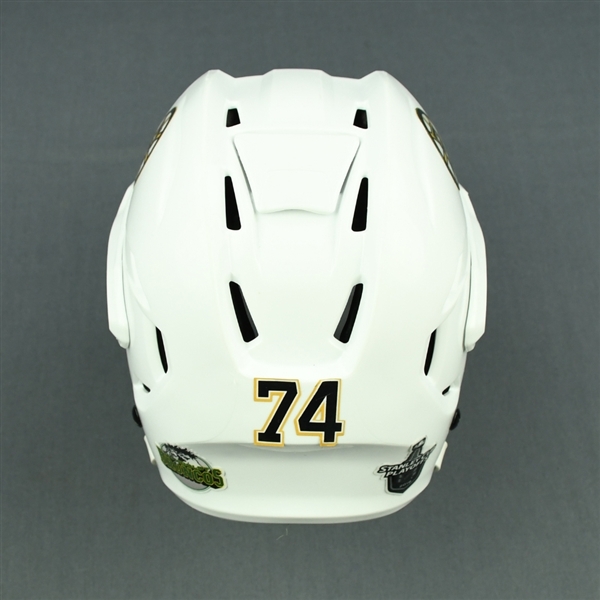 Jake Debrusk wore this White, Bauer Helmet w/ Bauer Shield during the 2017-18 NHL regular season and Stanley Cup Playoffs. This helmet is a Size Small and is registered into the Boston Bruins-MeiGray Game-Worn Jersey Authentication Program as number MGA12840.